This vehicle includes a "Bounce-Back" safety feature that may cause your windows not to roll-up automatically. This condition is normal after installing in-channel vent visors. 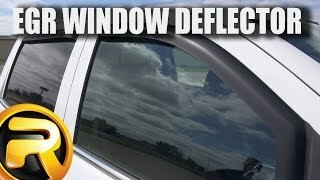 Once installation is complete and no obstructions are present, pull the window switch all the way up until the glass stops and continue holding for two seconds. After leaving the windows closed for 72 hours, press the down switch and allow the window to fully-open. Your window motor will then have been recalibrated and the one-touch up/down feature will function. If you experience bounce-back after following these steps, ensure that your visors are properly installed and fully-seated. 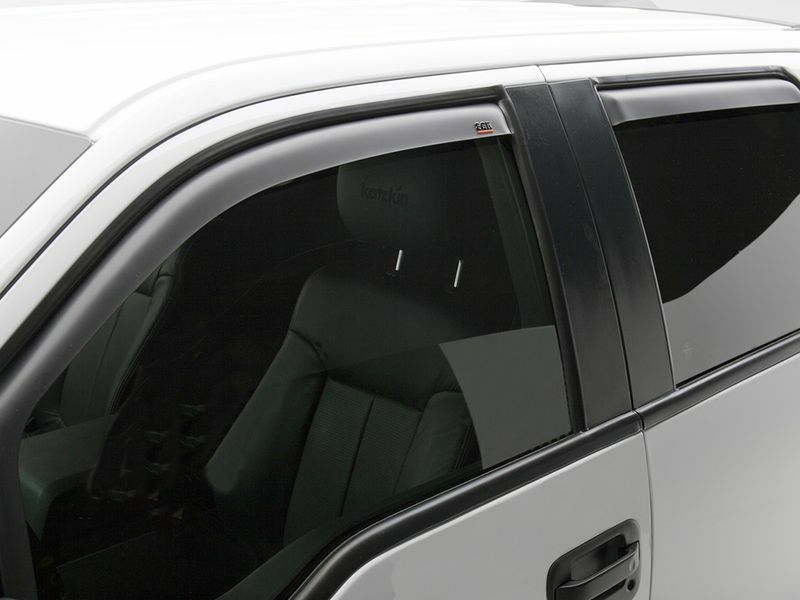 If your vehicle has one-touch up/down windows and a simpler installation is desired, RealTruck offers tape-on visors. Whether you enjoy driving on or off-road, we bet there are times you like having your window cracked. With the EGR matte black in-channel window deflectors you not only can keep the elements out, but you can give your ride the ever-popular blacked out look! Smell the fresh air as you drive down the road without having to worry about strong winds or rain effect your driving experience. The premium in-channel design offers you even better visibility and airflow than most on the market. Manufactured from impact resistant acrylic, you won't have to worry about just about anything damaging these visors. Available in a sleek, matte black finish, your truck looks instantly upgraded! The custom, aerodynamic fit makes installation a breeze. The fronts slip directly into the window channel while the rears install uses just tape and clips. Backed by a lifetime warranty, you never have to worry about these bad boys going anywhere. EGR matte black in-channel window deflectors are proudly made right in Ontario, California. EGR Incorporated will warrant any part during the warranty period which proves defective in material and/or workmanship under normal installation, use, service, or maintenance. Return alleged defective part to the place of purchase for replacement or refund. Please have a copy of your purchase receipt available. The EGR matte black in-channel window deflectors by EGR USA can be installed easily at home with no tools. For additional information, please call us at 1-877-216-5446 or 701-253-5906.